Cabbage (Patta-Gobi) বাঁধাকপি - पत्तागोभी | kolkart.com - buy online grocery,fruits & vegetable kolkata with free home delivery. Leafy greens are considered great for skin, and cabbage is no exception. Cabbage contains ‘indole-3-carbonile’ which is a powerful antioxidant. It is responsible for detoxifying your liver. This is beneficial for the skin as well because it removes the toxins, which if accumulated in the blood, cause dull and blemished skin. Thus, the skin benefits of eating cabbage are many. Cabbage has excellent skin healing properties. When used as a poultice, cabbage is effective in curing skin eruptions such as eczema, psoriasis, acne, rashes, insect bites, leg ulcers and wounds. It helps cure arthritis as well. You can prepare the poultice by grating or processing some cabbage in a blender. Wrap the content mixed with some water in a cloth. Place it on the affected area for about 15 minutes. You can also crush the leaves and apply them directly on the affected areas. Regular application of this poultice as well as eating cabbage can help you heal faster. It is appreciable for its beautifying effects and it also has a role in promoting healthy skin. If you are suffering from pimples or other skin irritations, cabbage can be the solution. All you need to do is to steam the upper leaves of cabbage and remove all the veins. Compress the leaves between a linen cloth and cotton to make them smooth and soft. Place the compress on the affected area over night and experience spotless skin next morning. Its juice is also excellent for improving complexion. It has potassium in it which is instrumental in purifying your body and skin. The high levels of Vitamin A rejuvenate your tissues while sulfur helps in fighting the infection. Vitamin E is often used as an ingredient in skincare products and supplements. The ultimate result is glowing and fairer skin. Sulfur is considered as ‘Nature’s beauty mineral’. Because of its drying effect, it plays an important role in drying acne and breakouts. Moreover, it is vital for the synthesis of keratin, a protein substance that is essential for healthy hair, nails and skin. It also helps in cleansing your blood and removing bacteria and toxins from your body. Its juice is extremely effective in cleansing your body as cabbages are abundant in Vitamin C. If you are suffering from acne, drinking cabbage juice can help in clearing it up. Cabbage juice can also heal infected gums caused by gingivitis. Being loaded with nutrients such as vitamins, calcium, sulfur, iron and magnesium, cabbage is equally beneficial for your hair. Some of the benefits of cabbage for hair are given below. Just like other green vegetables, cabbage has a high content of Vitamin A. Vitamin A is an antioxidant that stimulates hair growth. Applying a mixture of boiled cabbage and freshly squeezed lemon juice on scalp can facilitate hair growth. Mash ½ cup boiled cabbage and 1/8 cup fresh lemon juice in a blender to form a thick paste. Massage this mixture on your scalp, leave it for 30 minutes and then shampoo and condition your hair as usual. This can be done twice a week. 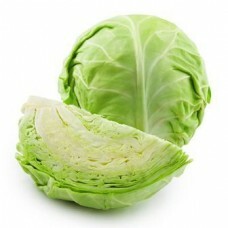 Cabbage nourishes your hair, thus providing you with silky, shining hair. Apply its juice on your scalp and the roots of your hair. Shampoo your hair after an hour. This will make your hair smooth and silky. Raw cabbage and cucumber juices are rich in silicon and sulfur, two vital minerals that stimulate hair growth and prevent hair loss. Apply a mixture of 30 ml cabbage juice and 30 ml cucumber juice on your scalp and hair roots, massage thoroughly for 10-15 minutes before going to bed and wash off the next morning. This should be done thrice a week for maximum benefits. Raw cabbage juice is also beneficial for dry hair as it makes it soft and shiny. Try drinking a mixture of 80 ml of raw carrot and cucumber juice and 40 ml of raw cabbage juice to get healthy and beautiful hair. There are many properties in cabbage that help fight cancer causing cells. These ingredients include dindolylmethane (DIM), sinigrin, lupeol, sulforaphane and indole 3 – carbinol (I3C). The sulforaphane and the I3C compounds are known to increase anti cancer effects. It has a very high content of Vitamin C. Thus cabbage helps in strengthening one’s immunity system and also assists in curbing free radicals. It is also very rich in amino acids which help fight inflammation. The beta carotene content in cabbage helps in prevention of macular degeneration of the eyes and thus, keeps cataract at bay. The latest research states that consuming cabbage, especially the red ones, can prevent Alzheimer’s. Vitamin K that is widely found in cabbage is responsible for this. Peptic or stomach ulcers are healed by consumption of cabbage. Its juice has anti ulcer properties owing to its high content of glutamine. It is considered to be the best dish for those who constantly watch their weight. An entire cup of cooked cabbage contains merely 33 calories. Thus, a diet of cabbage soup would mean endless bowls with absolutely no weight gain. Proper digestion is facilitated due to the high fiber content in it. This helps in providing relief from constipation. It is very rich in antioxidants which protect the skin from free radicals responsible for the signs of ageing. Lactic acid present in it is known to provide effective relief from sore muscles.